Flour Chylde Bakery did it again – they created a gluten free treat that was moist and not grainy. 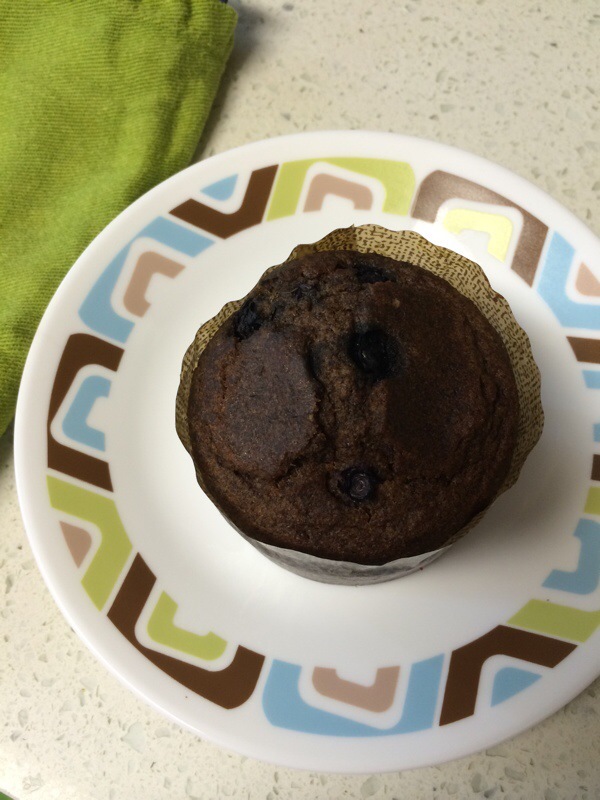 This blueberry muffin has a wholesome taste to it – the flour mixture tastes more like a dense bran muffin than a white blueberry cake. It could use some help esthetically and of course, more blueberries! Overall, if you are looking for a classic blueberry muffin in the gluten free varietal, then look elsewhere, otherwise this is a wholesome treat you can ‘chew’. Categories: Baked Goods Review, Bakery Review | Tags: Aunti Gluten Bakery, Flour Chylde Bakery, Gluten Free Bakery, Mariposa Bakery, Pushkin Bakery | Permalink. 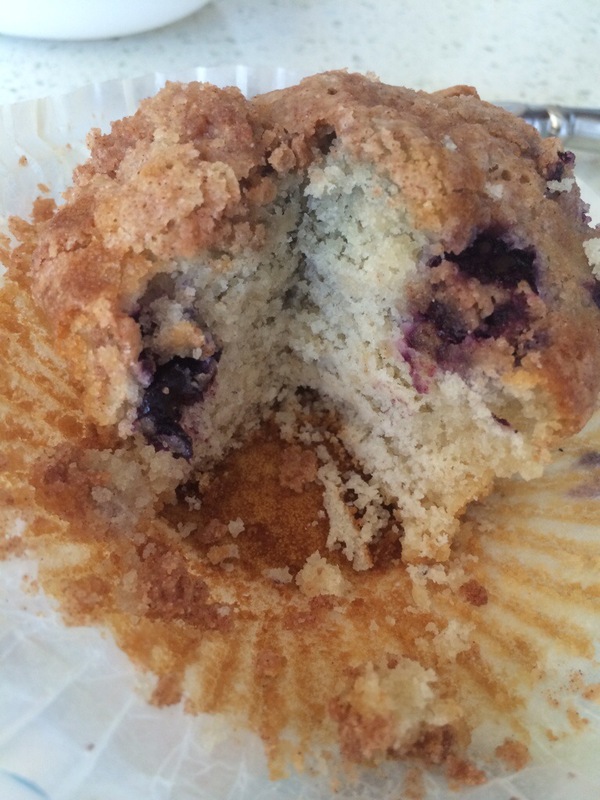 My favorite gluten free blueberry muffin is from Mariposa bakery. I couldn’t pass one up when I visited their flagship bakeshop in Oakland for the first time (I typically go to the SF Ferry Building). Their bakery smelled heavenly. The last 30 mins they are open everything is 20% off. 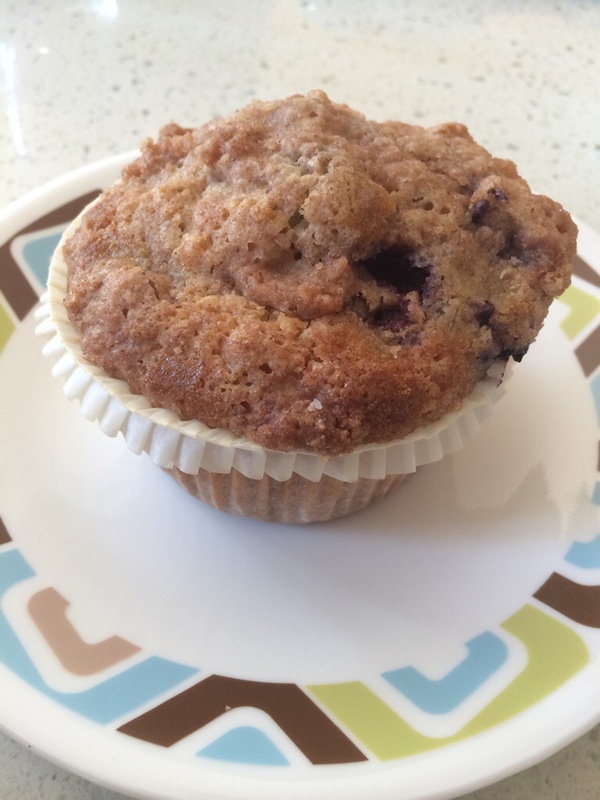 The blueberry muffin has a brown sugar crumb topping which reminds me of my homemade blueberry muffin topping. Not only is the topping crumble but the inside falls apart in your hand – this is not meant to be eaten with a fork. The inside is moist, not grainy and delicate. By the looks of it they use fresh blueberries instead of frozen because the dough is not a blue color. Categories: Baked Goods Review, Bakery Review | Tags: Aunti Gluten Bakery, Flour Chylde Bakery, Gluten Free, Gluten Free Bakery, gluten free bread, Mariposa Bakery, Pushkin Bakery, Tree Nut Free, Wheat Free | Permalink. 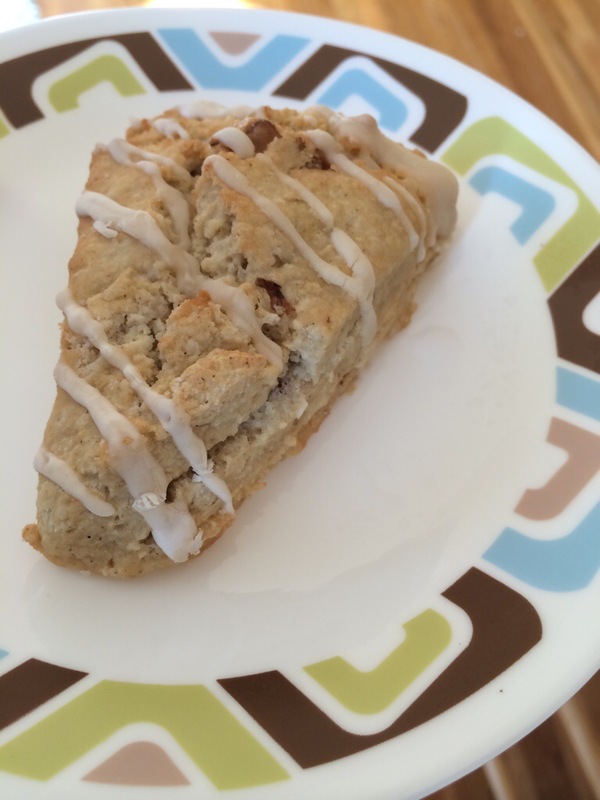 The maple walnut scone is hardy and chewy. 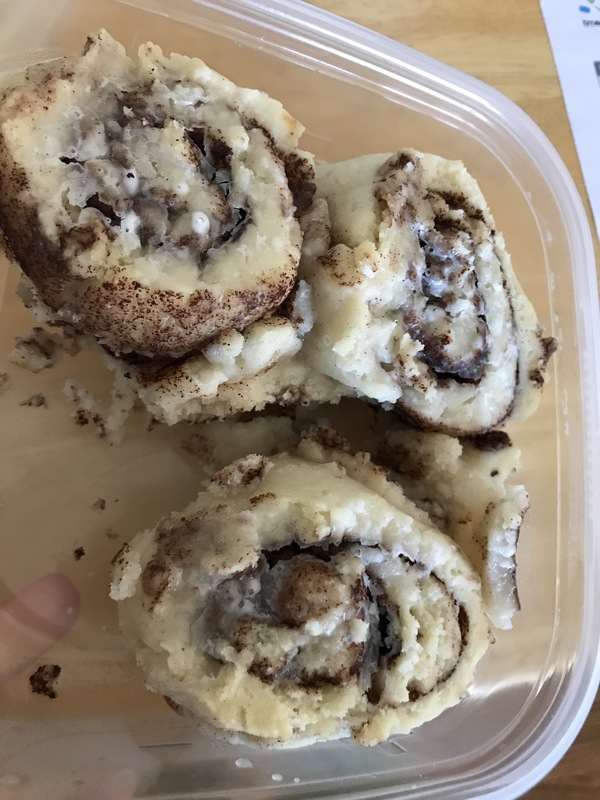 It has good flavor with the walnuts and while warming it in the microwave I could smell the maple, though it was a little lacking in the execution. It had a mild sweet like a scone should have. The lemon scone was chewy as well, and bursting with lemon flavor. 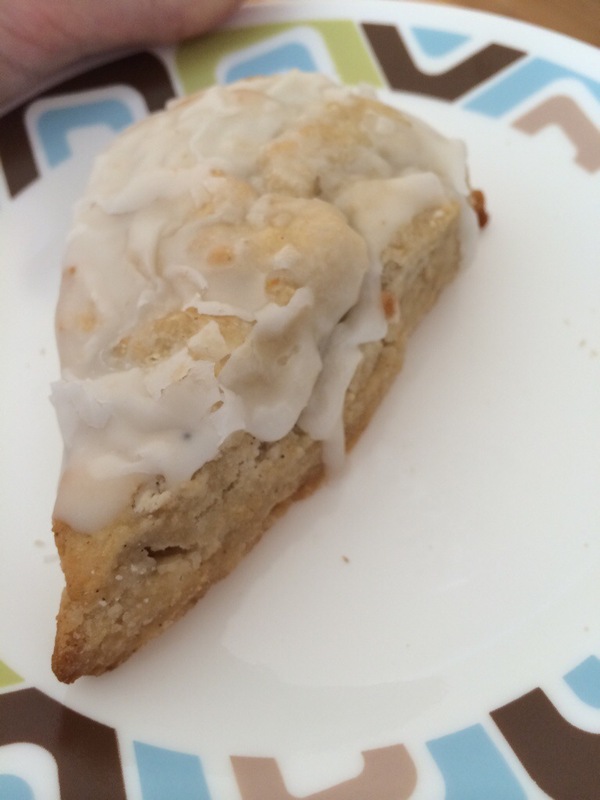 It has more icing than the maple scone, and is sweet and tart at the same time. Both of the scones are dense just like a scone should be. I will try these scones from Pushkin again and try them fresh, I think putting them in the microwave made them more chewy than they should have been. 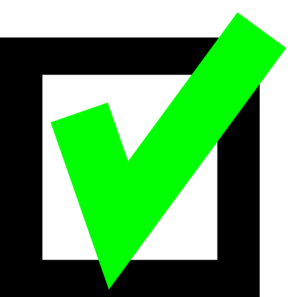 Categories: Baked Goods Review, Bakery Review | Tags: Aunti Gluten Bakery, Flour Chylde Bakery, Gluten Free & Dairy Free Bakery, Gluten Free Bakery, Gluten-free diet, Mariposa Bakery, Pushkin Bakery, Scones, Wheat Free | Permalink. Franz Bakery based out of the northwest portion of the U.S.A now has gluten free breads. Their 7 grains gluten free bread is the best sandwich bread I’ve had. Bottom line, I couldn’t believe it was gluten free. Categories: Bakery Review | Tags: Allergy Friendly, Dairy Free, Flour Chylde Bakery, Gluten Free Bakery, gluten free bread, Gluten Free Hamburger Buns, Gluten-free diet, Mariposa Bakery, Pushkin Bakery, Soy Free, Wheat Free | Permalink. The gluten free chocolate chip cookie had a deep brown sugar taste. It was moist, and tasted like a home made chocolate chip cookie. It only slightly grainy, and didn’t hold together as well as other cookies but I wouldn’t call it ‘crumbly’. Nice sized chunks of chocolate in the cookie. The gluten free blueberry muffin had a ton of blueberries, was moist, and had just a slight grainy texture. There was no crumb topping that you see on most blueberry muffins, but I don’t think it was necessary, as it was just the right amount of sweet. If I were in the area again, I’d certainly pick up the chocolate chip cookie and blueberry muffin from Pushkin Bakery. 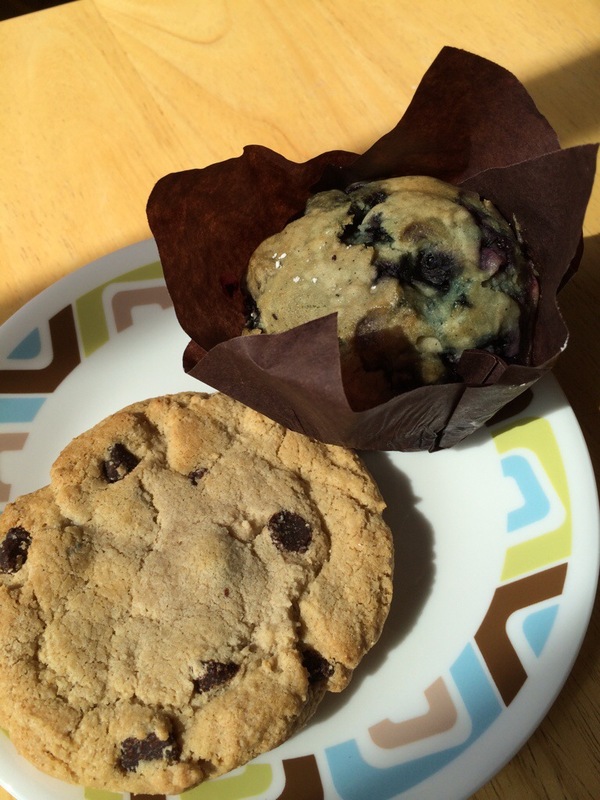 My favorite gluten free chocolate chip cookie is from Red House Bakery and gf blueberry muffin favorite is from Mariposa Bakery. Categories: Baked Goods Review, Bakery Review | Tags: Allergy Friendly, Aunti Gluten Bakery, Flour Chylde Bakery, Gluten Free & Dairy Free Bakery, Gluten Free Bakery, gluten free bread, Mariposa Bakery, pumpkin, Pushkin Bakery, Wheat Free | Permalink.